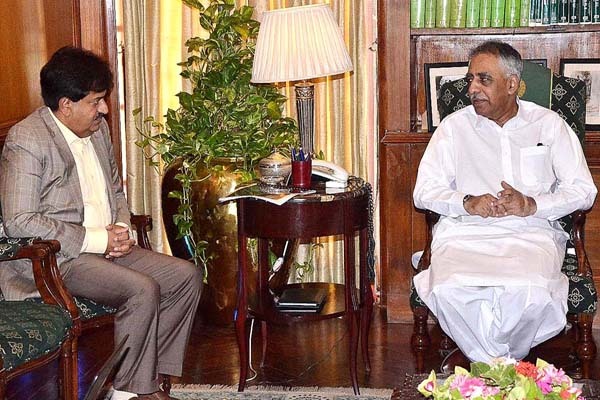 KARACHI, Sept 28 (APP): Governor of Sindh Muhammad Zubair Friday stressed that the Karachi Port be modernized in accordance with the present day need. the Governor House here regarding the mega projects and development works pertaining to the Karachi Port Trust. The chairman of the KPT, Mumtaz Ahmed Shah, gave a detailed briefing on the occasion. He informed that development works at the KPT are fast going ahead and that short, medium and long term projects have been devised for the purpose. Village and Karachi Harbour Crossing Bridge. The completion of Port Elevated Express would streamline the traffic. this includes an industrial park. percent of country’s sea trade. huge increase in the economic activities in Karachi. in the completion of the expansion and development works. would help enhance economic activities. billion on mega projects in the metropolis.